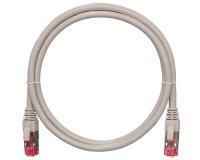 Switch cords (patch cords) are widely used in any cable system and are designed to connect communication lines with active network equipment, as well as to connect computers in workplaces to switch outlets. They provide high reliability of the connection and allow quick re-commutation, if necessary. 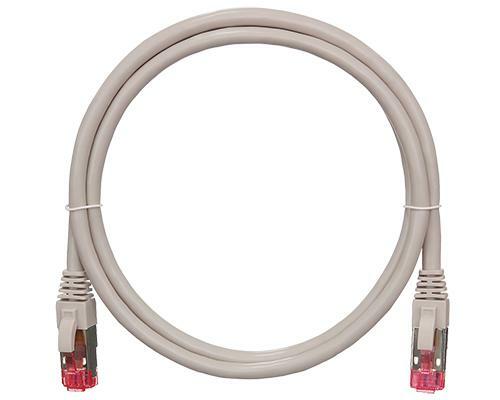 The patch cords consist of a piece of a stranded patch cable terminated with RJ45 / 8P8C connectors. The cable routing in the patch cords is made according to the T568B standard. The attachment point of the connector in NIKOMAX cords is protected by a filler cap, which significantly increases the service life of the patch cord. The caps are additionally provided with latch protection. Each NIKOMAX patch cord of category 6 and above is 100% tested on Fluke DTX testers. This allows you to guarantee not only their performance, but also full compliance with the most stringent requirements, large reserves of transmission characteristics and reliable operation throughout the life of the service. Cords of category 5e undergo selective testing.